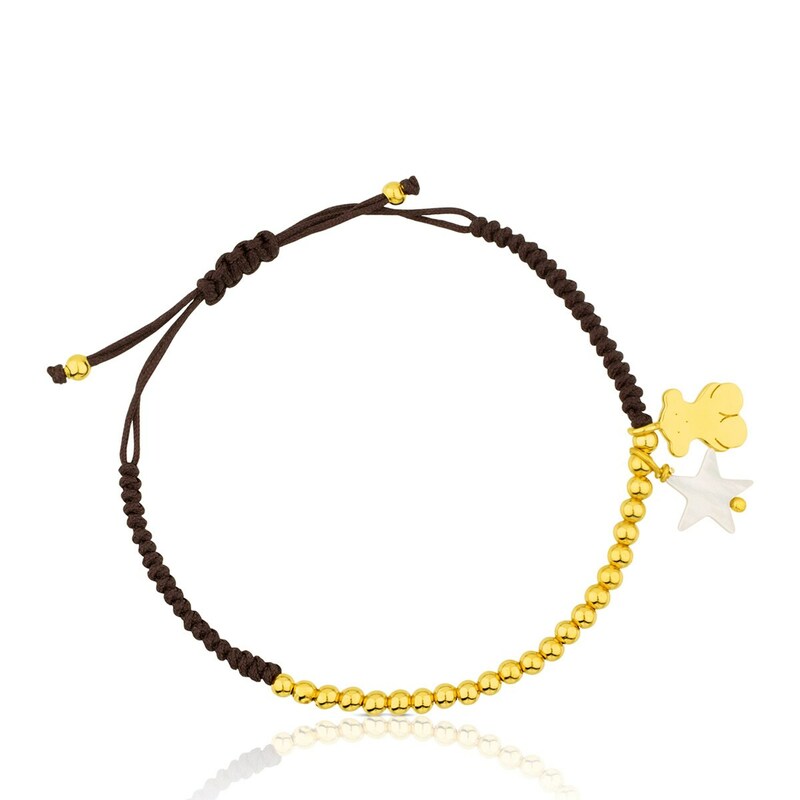 This vermeil bracelet on a brown cord is stunning. Daring and bold! Sophisticated, elegant, striking. Mother of pearl? Sweet, very sweet. In short, a bracelet with as many facets as you. TOUS Basics bracelet in vermeil silver with mother-of-pearl. Size: 1.5 cm. Vermeil: sterling silver plated with 18kt yellow gold.